Today we head into our 2nd SweeTARTS CANDYLAINE look with probably the one I've been MOST excited to shoot (and play) with. 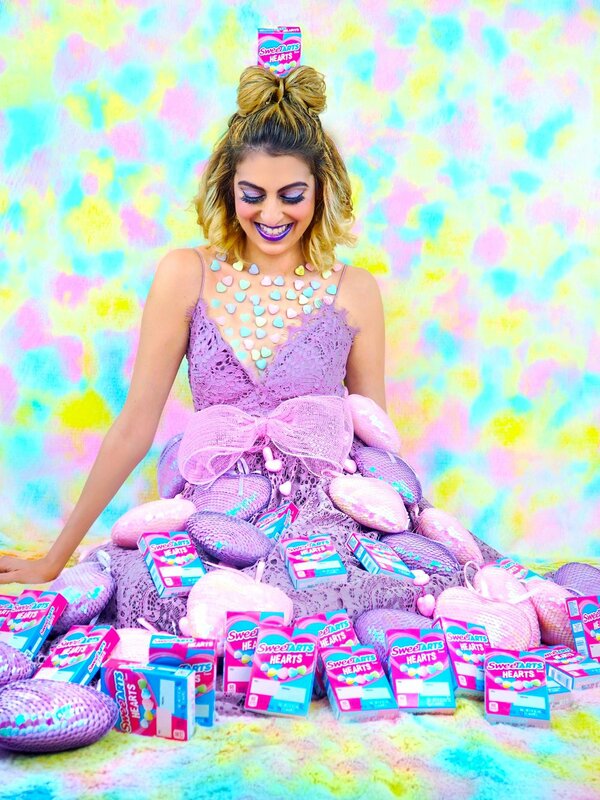 Because let's be real here, when we think SweeTARTS, our minds IMMEDIATELY go to their iconic classic Hearts! And when you think Valentine's Day, you immediately associate hearts with it, so to me, this couldn't be anymore the CLASSIC Valentine's Day type post! But what's special about these SweeTARTS Hearts versus any other boring old heart candies for VDay is that these hearts not only have inscriptions of cute sayings and are free of artificial flavors, but actually come in my color preference--RAINBOW. So I mean... can this be ANYMORE a match made in heaven for me?! 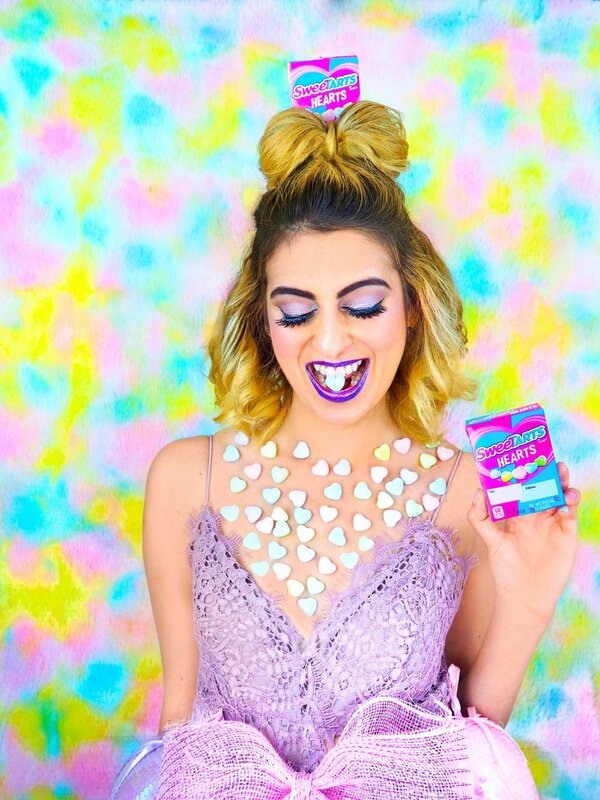 And lucky for you because I'm ALL about hooking you up with my favorite brands, I'm letting you in a special deal where you can get your own FREE box of SweeTARTS Hearts tomorrow, aka THIS Friday, 2/9! All you have to do is head to Kroger's website here for their Free Fridays to download the digital coupon! We've got one more stop on the Candylaine path to go, can you handle the excitement?! The countdown to Valentine's Day is SO on!